About two dozen folks gathered in a prayer ceremony at 6 a.m. this morning on the east end of the Fort Peck Reservation and began their 80-mile journey westward at 7 a.m. in a prayer walk to demonstrate their opposition of the Keystone XL Pipeline. Some Eastern Montanan farmers and Fort Peck Reservation residents near the pipeline's route don't agree. They believe the environmental and social risk the pipeline poses is greater than a potentially short-lived economic boost for the state. About two-dozen water protectors are walking across the Fort Peck Reservation this weekend to pray and demonstrate opposition of the pipeline's construction in the state. 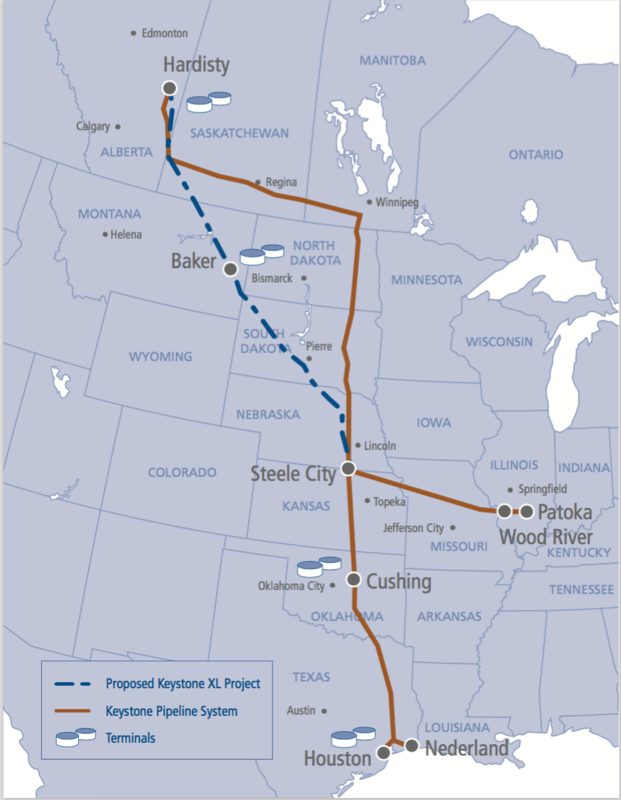 "Keystone XL will generate millions in taxes through the six counties in Montana. It's expected to contribute upwards of $212 million in state GDP and support approximately 3,700 jobs within the state during construction,” said Matthew John, spokesperson for TransCanada, the company building the Keystone XL pipeline. “We think it's a good project for Montanans, we think it's a project that's in the national interest of the United States, and we are eager to go through this process and to eventually get this project built,” said John. But there is a strong contingent of people who don’t believe the pipeline would be a good project for the state. Like Marina Starr, who’s enrolled in the Fort Berthold Indian Tribe and grew up on the Fort Peck Reservation. “People talk of jobs and prosperity, you know, but that only lasts a few years if not that even," said Starr. Though Montana Public Radio reports that a spokesperson for the Montana Petroleum Association says the Keystone XL pipeline will create 1,500 temporary construction jobs in Montana, and 15 permanent positions at a terminal in Baker. 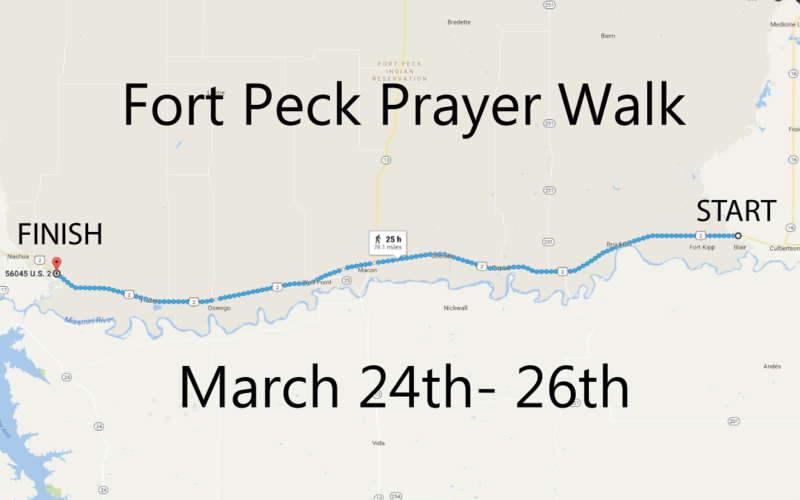 Nevertheless, Starr and about two dozen others are walking in prayer–from the eastern end of the Fort Peck Reservation onward, 80-miles west. They are walking in shifts. Each time someone gets tired, they trade for someone’s seat in a car full of water and snacks caravanning along with them. Somebody else takes their place and continues walking. About two-dozen people are walking 80-miles from east to west on the Fort Peck Reservation to demonstrate opposition of the Keystone XL Pipeline's construction in Eastern Montana. 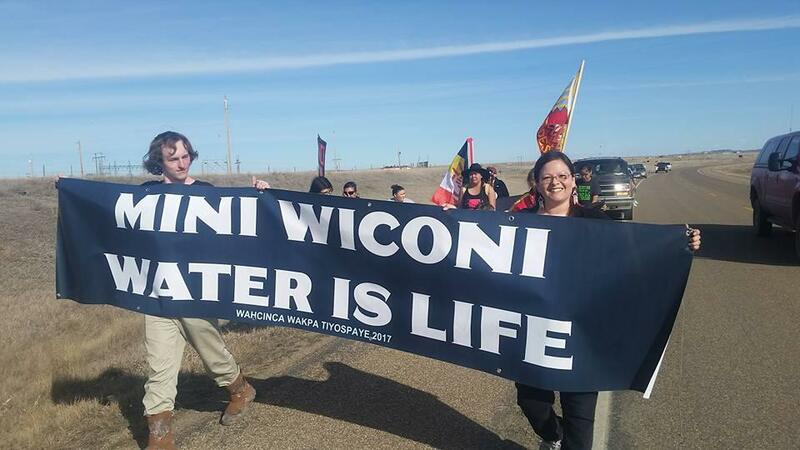 “We’re praying for the protection of our water and for the safety of our families and friends in and around the reservation: Future generations of our neighbors," said Starr. 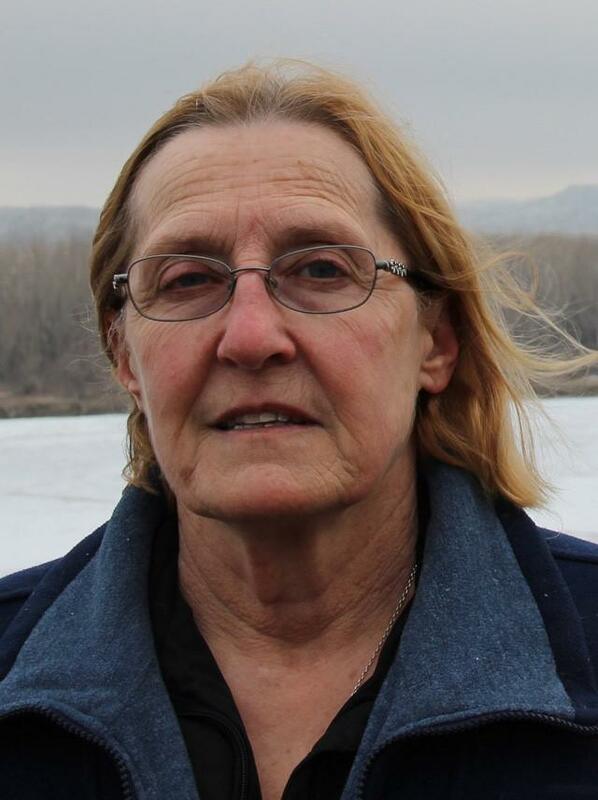 Dena Hoff is an irrigated farmer in Glendive and the 2015 Bridger Pipeline leak spilled below her sheep pasture. Dena Hoff is one of those neighbors that the water protectors are praying for. She’s a spokesperson for Northern Plain Resource Council and a farmer from Glendive. She too opposes the Keystone XL pipeline’s construction in Montana. In January of 2015, the Bridger Pipeline, owned by Bridger Pipeline LLC, had a leak of at least 30,000 gallons of crude oil into the Yellowstone River below Hoff’s sheep pasture. TransCanada’s spokesperson, Matthew John, says that the company will take special precautions in order for their pipeline to prevent spills. “This project will be one of the safest pipelines to ever go into operation in the United States," said John. The concerns are made as clear as the water demonstrators pray to protect this weekend. As they continue walking across the Fort Peck Reservation on Highway 2, Starr is undeterred by the mileage she has to go. “I want to show my children that if you stand up for something you believe in it can be accomplished. Through prayer, I believe we can do it," said Starr. The walk will conclude near 8 p.m. on Sunday with a ceremony. Community members have been gathering monthly at the Billings Public Library to discuss and reflect on Native American issues. This month's lecture was by Aubrey Bertram, staff attorney for the Indian Law Practice group of the Montana Legal Services Association. "I think it's so important to understand our context and to understand our history," said Bertram. "You can't meaningfully function and you can't really engage with present society if you don't understand how we got to where we are in the first place." 23 year-old Billings artist Phil Griffin went to Standing Rock from the standpoint of someone concerned over human-caused climate change. Upon arrival, however, Griffin soon learned more about himself and his blind spot for his own white privilege.